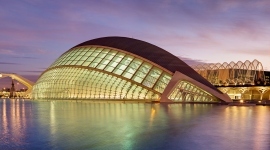 Around 600 kilometres of coastline, coastal mountains, a vibrant night life and plenty of culture: The Spanish region Valencia with its famous capital Valencia, the third biggest city in Spain, attracts many visitors for many different reasons. Some people want to learn more about the fascinating heritage of Valencia, other people would like to enjoy the sandy beaches, while another group of people disappears into the mountains. 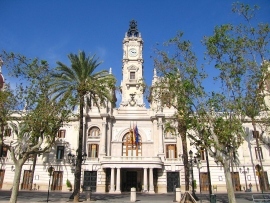 Valencia is a typical Mediterranean region. 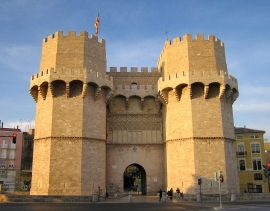 Valencia is one of the fantastic cities of Spain that everyone talks about when it comes to culture and heritage. Valencia is beautiful, vibrant, modern, and historic at the same time – and it would be impossible for anyone to not find something to like about it. The Valencia Cathedral is great to look at, and it is also one of the places on Earth that claim that they have the holy grail. You can even go and see the grail, but whether you believe it really is the one holy grail that Jesus drank out of is up to you. The government also thought about renaming Valencia to the city of the holy grail (as a tourism slogan) because they would like to get in more tourists – but that's a different story. The Valencia Market is a great place to go to if you are interested in seeing how everyday life in Valencia works. It might not exactly be a very touristy thing to do, but it's a great way to get a feeling for the atmosphere of a non-touristy Valencia. The old Turia bed is a great place to go for a walk. In the past, the Turia river was making its way through Valencia, but after a bad flooding, the river has been re-directed. In a way, it's a bit of a pity because the river would add extra charm to the city, but on the other hand, the former river bed has been turned into a lovely park. 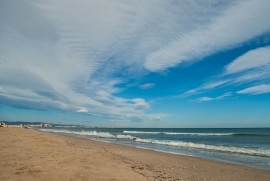 The Costa Blanca, or also the white coast, makes people think of wonderful beaches, long, lazy days and clean water. However, there is also much more to this stretch of the region. 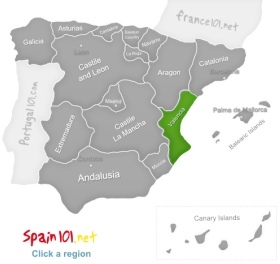 The coastal destinations include villages and towns like Alicante, Torrevieja, Xabia, Altea, and Denia. But you can also venture a little further inland to explore the cultural heritage of places like Orihuela, Alcoi, Elche and Guadalest. Elche is popular with visitors because it has around 200.000 palm trees in the Palmeral of Elche, which has been declared a UNESCO world heritage site. Elche has a second UNESO heritage: the Mistery Play of Elche, and if you are lucky enough, you could see/hear it during your stay, but you would have to stay during the month of August as the Mistery play is only performed during two days in August. One great sight of Alicante is the Castle of Santa Barbara, which sits on top of a cliff and is quite imposing. A great fact is that entry to the castle is free, so you can explore this fantastic site without having to empty your wallet. There is an elevator that can take you up to the castle, but if you feel like you are fit enough, then taking the proper walk up to the castle will be the nicer experience. When you choose to walk, you can also try to imagine what it must have been like in the past, and you can learn to appreciate the castle location from a strategic point of view. 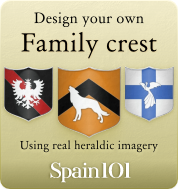 Experiences like that can help you to understand your ancestors on a different level. Tabarca Island is another great experience in Alicante. The little island is home for around 60 permanent residents and visitors can only reach the island by boat (which can be tricky) sometimes. It is a great island for all sorts of water sports because the water is very clean. The island depends on tourism these days (it used to be a traditional fishing village in the past). Benidorm is one of the most popular seaside destinations along the Costa Blanca, and a great place to have a relaxing holiday. There is space for well over 40,000 tourists in the many hotels in Benidorm, and it basically has not much more than beaches and entertainment to offer. Benidorm is the kind of place you go to for a resort holiday. While there isn't much for culture and heritage lovers, Benidorm could be the perfect base to explore the surrounding villages that are more traditional and often do not offer much when it comes to accommodation. So you could explore the heritage and culture of the region Valencia during the day, and then come back to your comfortable hotel room in the evening.